Here is a task for your students to use with voki. 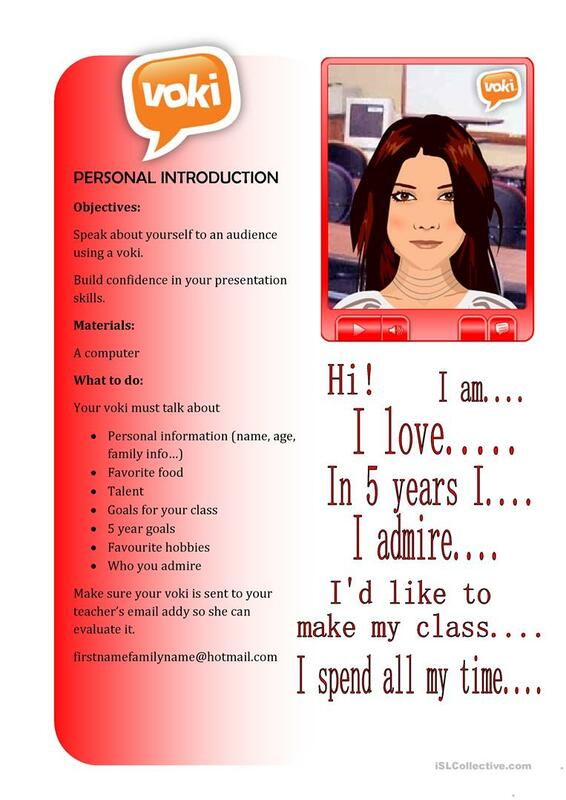 It is intended for grade 5 and 6 but can be used with other target groups. This downloadable handout is intended for high school students, elementary school students and adults at Pre-intermediate (A2), Intermediate (B1) and Upper-intermediate (B2) level. It is a valuable material for developing your pupils' Listening, Spelling, Speaking and Writing skills. It centers around the topic and words of People.